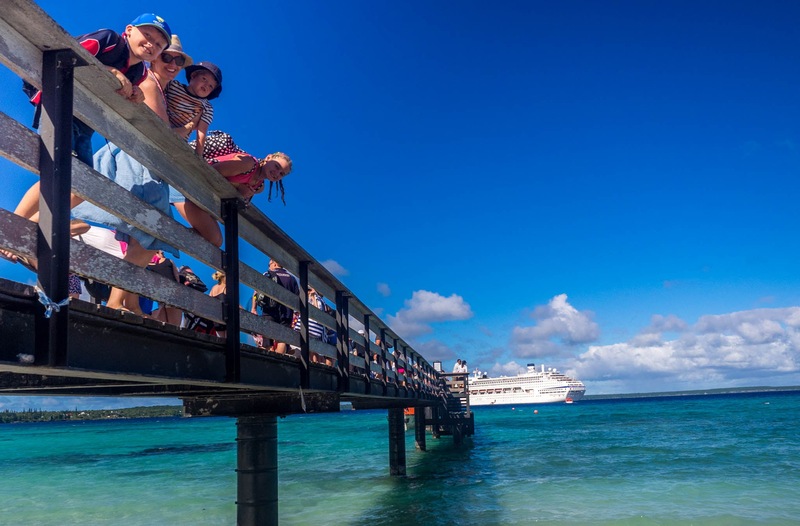 You are at:Home»International»Would a Cruise Be A Good Holiday For Your Family? Would a Cruise Be A Good Holiday For Your Family? Firstly, it was awesome having all of my brothers and sisters and their whole families on the same holiday especially where we were in such close quarters. There are 12 cousins ranging from 2-16 and they all get on so well … and the adults treasured the time with their nieces, nephews and each other. That would have been good anywhere but doing it on a cruise actually had its benefits because it was easier to let the kids roam together in packs and they had a variety of people that they could choose activities with. Compact but liveable … that’s my description  The rooms are tight but it worked well for us and there were 2 people servicing our rooms day and night so they were super clean with quilts turned down and chocolates on the pillows some nights hehe. We were craving a little space by the end but overall the rooms were great. We had no window (cheap tickets) but that was ok apart from the fact that I never know when it was morning. We left the TV on a channel that showed the front of the ship to solve that issue. The particular cruise that we were on had a buffet and another restaurant. We enjoyed both but used the al a carte one mostly where the kids got used to ordering from their 3 courses well. Each course had 5 options and there was also a kids menu at night on top of that. The service was amazing and I would characterise it as 3-4 star overall. I wouldn’t go on a cruise to eat but it is nice having such great food included in the ticket. The ship operates quality child care and activity programs from about 2-18 years old and our kids loved going ot these on the sea days. We felt comfortable leaving them and although the older ones could come and go, obviously the younger age groups required security checks before allowing kids to leave. There were also very cheap in room baby-sitters although we didn’t use that service. We didn’t get bored and unlike most land holidays, we got quite a bit of time without the kids to enjoy reading, chatting and relaxing. The evening shows were great and a chance to see some theatre for no extra cost. On 3 of our 7 days we were in a port in a new country each day and this was probably the highlight of our trip. They gave us strict deadlines to be back on the ship but its essentially a day to explore and visit a few places which the kids loved. Overall we found the cruise to be an excellent holiday for a family especially once your kids are toilet trained. Without that you can;t leave your kids in the creche which still could be fine but something to be aware of. Our pre-teen boys had a ball and could not get enough of the organised youth activities on sea days and loved exploring the countries we visited. Its a comfortable way to introduce your kids to overseas travel and to visit some developing countries in a very simple way. It would be possible to spend no extra money once on board however in practice we spent about $130 between 5 people on drinks, coffees, ice-creams and treats. It wasn’t the cheapest holiday ever but compared to other overseas travel it would be among the cheapest options and considering all food and entertainment was included it really was quite affordable. Keep an eye on specials but beware that the super cheap deals you see are often last minute OR on cruises where spots for children are already booked out.